How does a divorcing couple decide a divorce settlement? 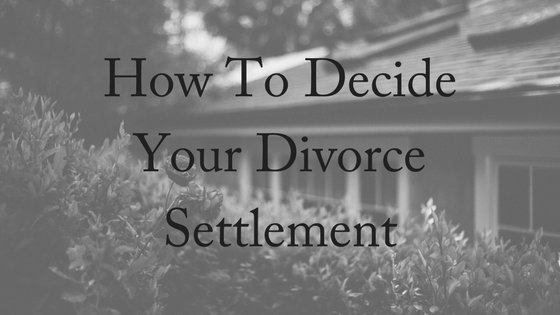 Divorce can be hard, especially when trying to decide the fate of finances. Many factors are usually taken into account, but there are occasions where a divorce settlement isn’t fair. Two people living together sharing finances is not the same as two people living separately with their own finances. Therefore, it’s common for there to be less money after divorce than there was during the marriage. For some divorcees, the divorce settlement they thought they would get ended up not being enough. A high profile case in Saudi Arabia includes a well-known banker and a daughter whose father’s wealth is quite significant. When the couple first divorced in 2013, she received $2 million and the right to remain in the marital house. However, she is now claiming she’s entitled to receive $5.5 million in order to buy a new house for her and the children. He argues that he should not be required to pay her this large sum of money as her father is wealthy. When he passes away, she will receive around $500 million as an inheritance. In protest, she claims that this could be some time, and that she cannot survive on $2 million until her father passes away. The lawyer also claims that there is no legal principle that states someone becomes the property of their parents when divorce occurs. By the courts taking into account her father’s income, the woman’s lawyers argue that it means that the father has an obligation to ensure his daughter is cared for. They argue that the ex-husband has an obligation to care for his children after a divorce, no matter the financial circumstances of his wife’s family. Another case involves a woman who has made many sacrifices in order to ensure she provides for her children. She lives on a budget, one that does not allow for her to buy new clothes or go to the hairdresser. When she lived with her husband, things like this were done automatically with no second thoughts. Instead, she now must plan for these events to ensure she has enough money in the bank account to complete simple tasks. In another case a woman who was the main source of income for her household, was forced to split her assets with her husband after their split. While he did not work, he was considered to have made non-financial contributions to the relationship by taking care of the children and household tasks. She claimed this was not true, but was still forced to divide the assets that she had accumulated. This was a financial hit for her, and now he earns more than she does. The financial impact of divorce can be crushing for both men and women. But recent research by the Australian Institute of Family Studies (AIFS) found divorced women with dependent children find it much harder to recover their income after divorce. And unless they find a new man and re-partner, the financial hit can last well into later life. Studies show that women and men are both financially impacted after divorce, women more than men. As well as having to support your family, you will also have to spend money on family, buy a new home and new assets. In most cases, the women supports the family by taking care of the children, so when a divorce occurs, she is earning less. In most cases, women are left with the care of the children while also having to now find a source of income. Women fare particularly badly when it comes to retirement savings. The average woman has less than half the superannuation of the average man, with lower wages and time spent out of the workforce limiting her ability to save. The Association of Superannuation Funds of Australia recently calculated that taking just two years out of the workforce could create a “super debt” of up to $50,000. It says if women want to make up this debt, they need to adopt the “1 per cent rule” and contribute an extra 1 per cent to super for the rest of their working lives. But for women who divorce and struggle to make ends meet afterwards, that can be a big ask. Fortunately, a women’s income does tend to recover after a few years, with women being able to adapt to new financial circumstances. It is also considered interesting that those who remarried had fared better than those who had stayed single. Those who had never divorced also tended to have more assets later in life. 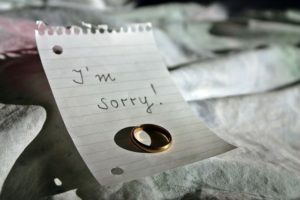 The truth is that divorce means you’ll take a financial hit, even impacting assets such as super and retirement savings. It can take many years to recover, and even if you’re able to secure a higher income, your assets may not be the same as they were before the split. When a couple divorces and when deciding a divorce settlement or property settlement, multiple factors are taken into account. A divorce settlement is calculated on factors such as financial contributions, non-financial contributions, the length of the marriage and the income of both parties are all taken into account. The cost of care for the children is also a significant element that helps decide the distribution of assets. But be warned: there are time limits involved for finalising a property settlement; it is one year for married couples and two years for de-facto relationships. After this time limit runs out, the couple must apply to the court and they will assist in deciding the split of assets. If you do not wish to attend court, there are other avenues available. You can attend mediation sessions which will help you and your ex-partner make financial decisions with the assistance of a completely unbiased third party. Whatever avenue you decide, a divorce lawyer is essential. They can advise you of what the law says each party is entitled to, so that your divorce settlement is fair and enforceable. Contact us today for your free, 10-minute phone consultation.